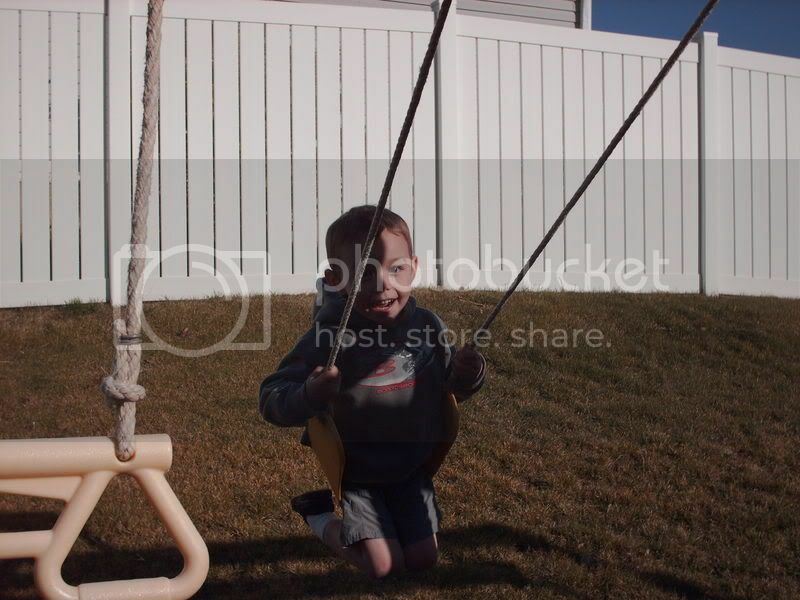 My son learned how to swing a couple days ago. Finally doesn't need Mom or Dad or brother to push him. When he reached this epiphany, he didn't want to stop swinging. Afterwards he said his legs were wobbly.